The Huma Kabakcı Collection, which Nahit Kabakcı began to put together as of the 1980s, is one of the most important examples of the limited number of consciously created and well-sustained collections in Turkey. Preserved and upheld by two consecutive generations, the collection currently holds works from 196 artists from 28 countries. Nahit Kabakcı was born in 22 March 1949 in İstanbul. He completed his primary education at Şişli Terakki High School. He entered the German High School in 1960 and graduated in 1968. After high school, Kabakcı went to Germany for college. In 1978, he graduated from the Darmstadt Technical University as an industrial engineer. 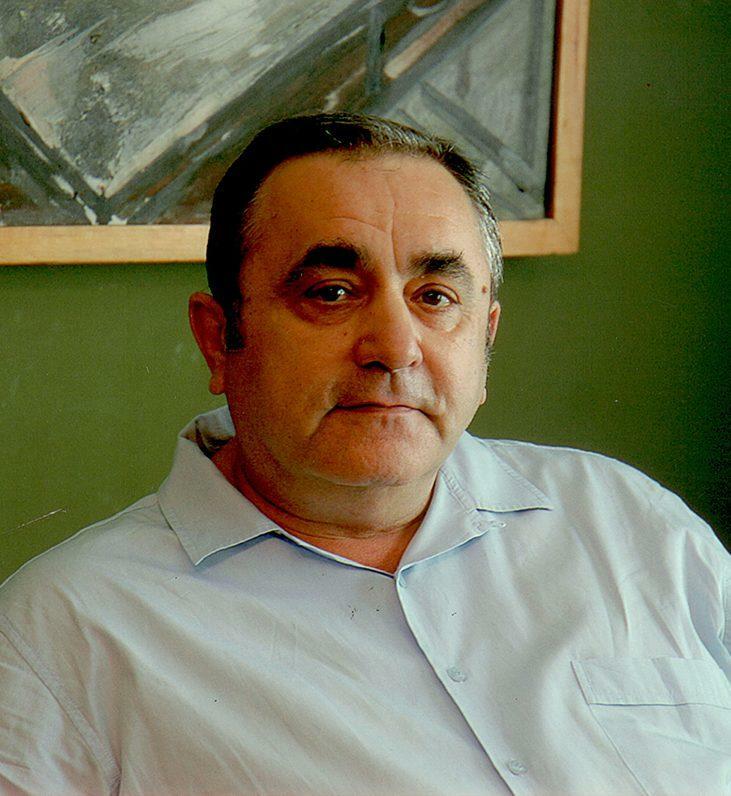 He was involved in construction business in Turkey and Azerbaijan as of 1980 and 1990, respectively. As of the 1990’s, Azerbaijan became a significant place in his life both in terms of business and his endeavors in the art world. He was one of the first Turkish businessmen to expand into Azerbaijan, where he started to spend most of his time during 2000’s. He brought note worthy construction projects to life in Azerbaijan. The individuals and institutions he encountered the reduring that time set an important groundwork for his ventures into collecting and gallery ownership. His first professional relationship with art began when he partnered with Ümit Yaşar Art Gallery. After their one year partnership, Nahit Kabakcı founded Ramko Art Gallery in 1986. In 1990 Kabakcı organised a competition entitled “Contemporary Turkish Painting” where he invited internationally renowned professionals to form a jury. The international jury of the Ramko competition included the following members: Jan Hoet (Belgium; Gent Contemporary Art Museum Director), Dieter Ronte (Germany; Hannover Sprengel Museum Director), Bruno Mantura (Italy; Rome Contemporary Art Gallery Deputy Director). In 1996 from being a gallery owner, Kabakcı decided to dedicate his life to collecting instead. In the first couple of years of collecting, he decided to collect artworks from Turkey, Russia and Azerbaijan. Over the years, he also started collecting artworks from neighbouring and Balkan countries such as; Uzbekistan, Kazakhstan, Georgia, Bosnia-Herzegovina, Macedonia and Bulgaria. Between 3-15 February 2002 Nahit Kabakcı opened the first exhibition of his collection titled “Contemporary Azerbaijani, Russian, and Turkish Painting and Sculpture” at the Naval Museum of Istanbul. Following this exhibition he also realised a collection exhibition in Ataturk Cultural Centre between 5-22 November 2003 and another one in 2008 during Tuyap Art Fair and Convention Centre. During the exhibition titled “Huma Kabakci Collection 1950-2008” at Tuyap between 1-9 November 2008 , he was presented with “Tuyap Art Fair Honorary Collector’s Award” due to his contributions to Turkish art through his collection. Nahit Kabakcı believed that a private collection should continue at least for four generations, and therefore named the collection after his daughter Huma Kabakcı. With the three cities (Essen in the Ruhr region of Germany, Pecs in Hungary, and Istanbul) as the “2010 European Captials of Culture” was a tremendous source for Kabakcı and this created a great opportunity for him to achieve his mission of introducing Turkish modern and contemporary art abroad. Despite the fact that Nahit Kabakcı had planned three museum exhibitions in Ruhr, Germany and Pecs, Hungary due to his untimely death his daughter continued the preparations and maintained the relations along with the support of Kabakci’s advisor Dr.Tayfun Belgin, the family and close friends. Huma Kabakcı (b. in 1990 in London) graduated from BA Advertising & Marketing at London College of Communication in 2011, and later on graduated from her MA in Curating Contemporary Art at Royal College of Art (London). She worked and interned in various galleries, museums and auction houses, both in the UK and Turkey, including Sotheby’s New Bond Street (Contemporary Art Sales department), The Albion Gallery (London), Pera Museum (Turkey), as well as three major collection exhibitions she worked on in museums during the 2010 Ruhr & Pecs Capital of Culture project. Since graduating from Royal College of Art (London), Kabakcı founded Open Space Contemporary and has been collaborating with various projects and organisations including Alt, Artkurio, Block Universe, IKSV, Open Dialogue Istanbul, The Art Department and SALT. She curated the group exhibition with artists Radhika Khimji, Kate McMillan, Suzanne Moxhay and Sam Padfield titled “Somewhere In-between” at Karavil Contemporary, London (November 26, 2015- January 26, 2016). Kabakcı co-curated “Memory and Continuity” along Esra Aliçavuşoğlu, a selected exhibition from the Huma Kabakcı Collection at the Pera Museum (24 February-8 May 2016). She contributed in various publications including Guggenheim Blog and Ibraaz Online Publication. Kabakcı recently started her Mphil in Curating Contemporary (commencing September 2016) and is a PhD Candidate at Royal College of Art, London. She currently lives and works between Istanbul and London.